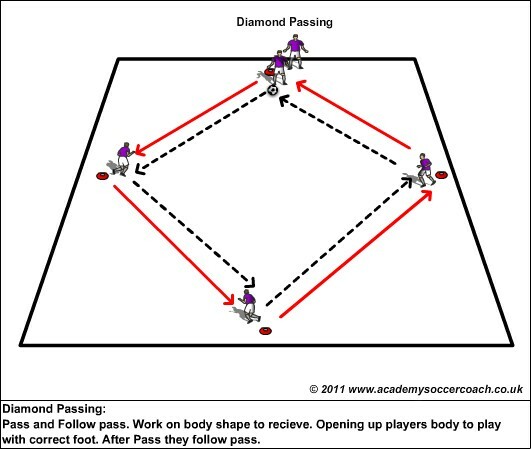 Passing patterns are meant for repetition for tactical elements. 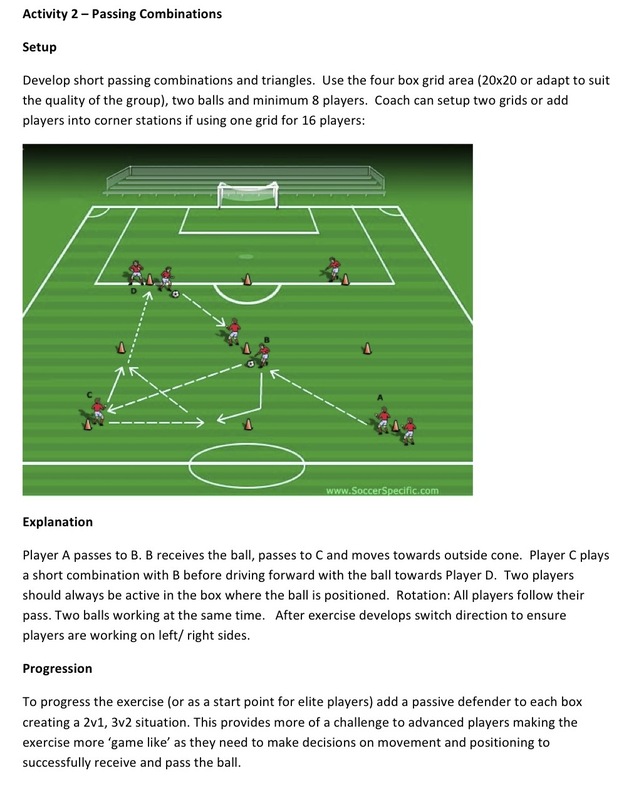 To create a style of play without pressure. 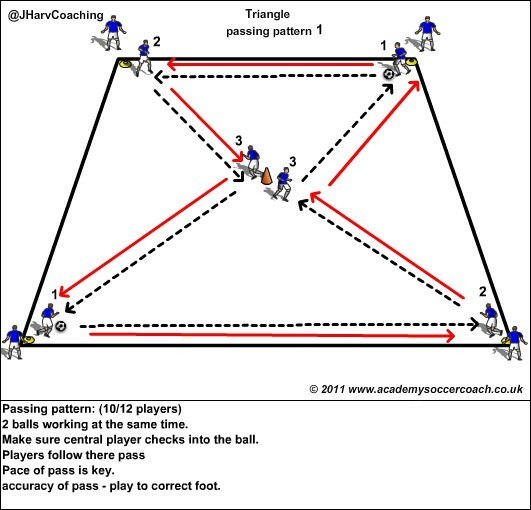 The repetition of pattern exercises create a rhythm and flow of the way a team wants to execute in a game. 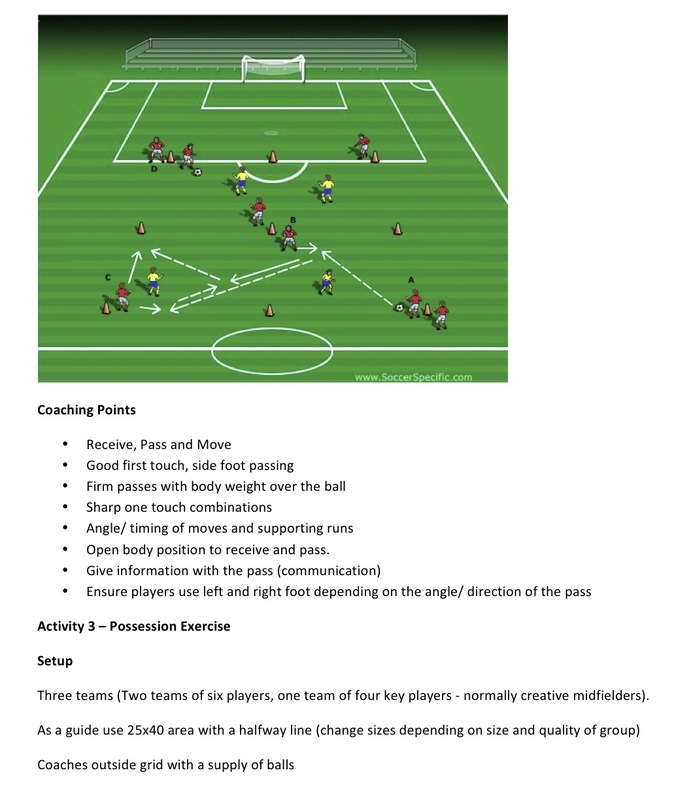 A teams patterns should be designed around what formation that they play. 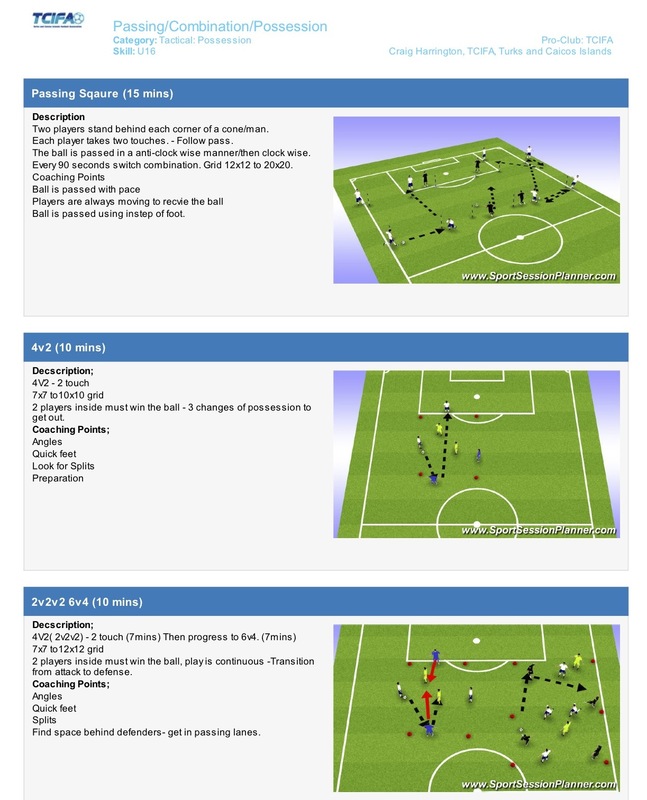 Here are some passing patterns that can be used for certain elements in the game. 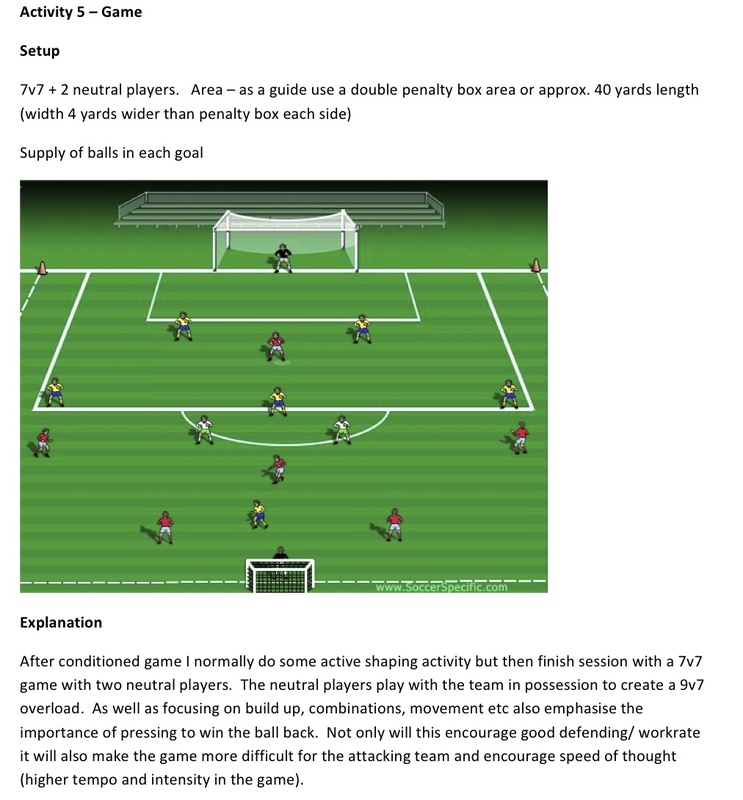 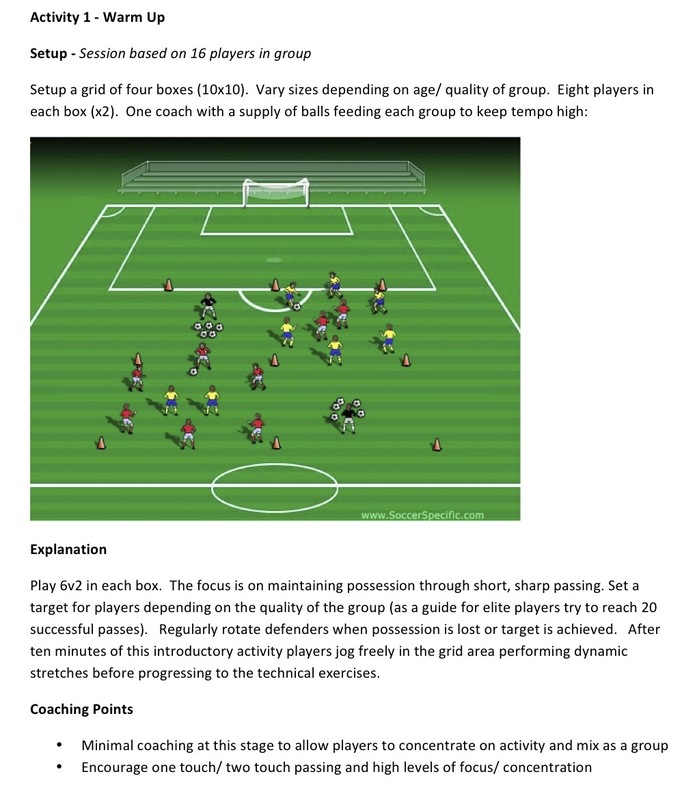 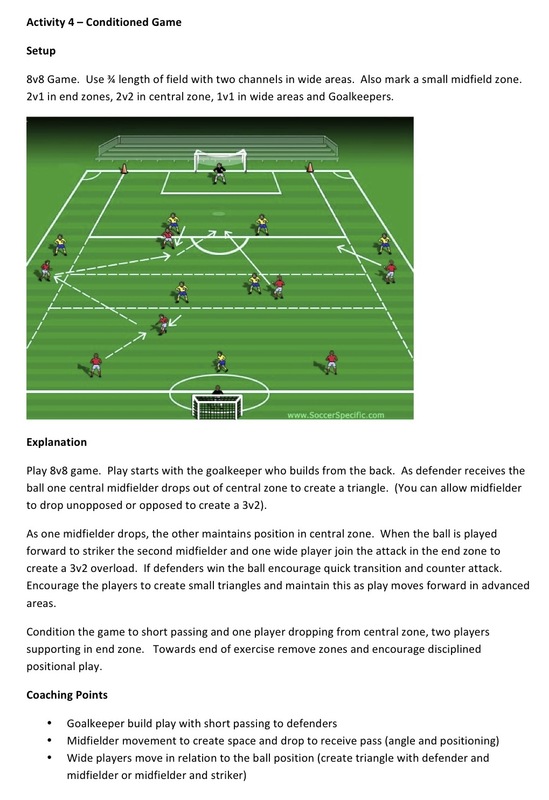 Y Exercise – Playing wide from central areas. 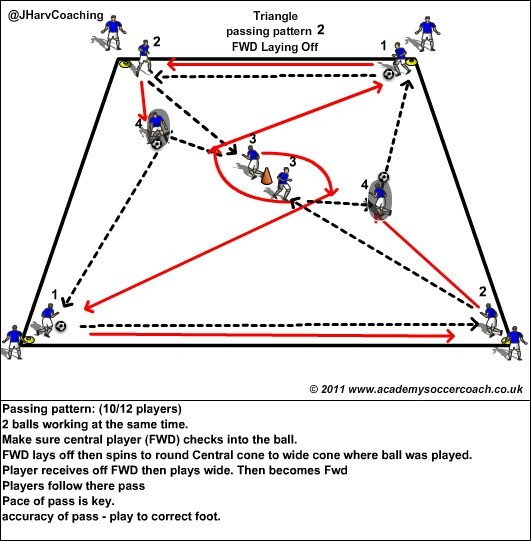 Triangles – Playing across back, lay off and play wide. 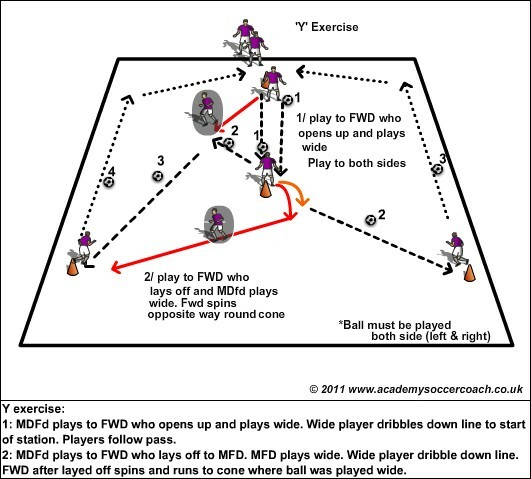 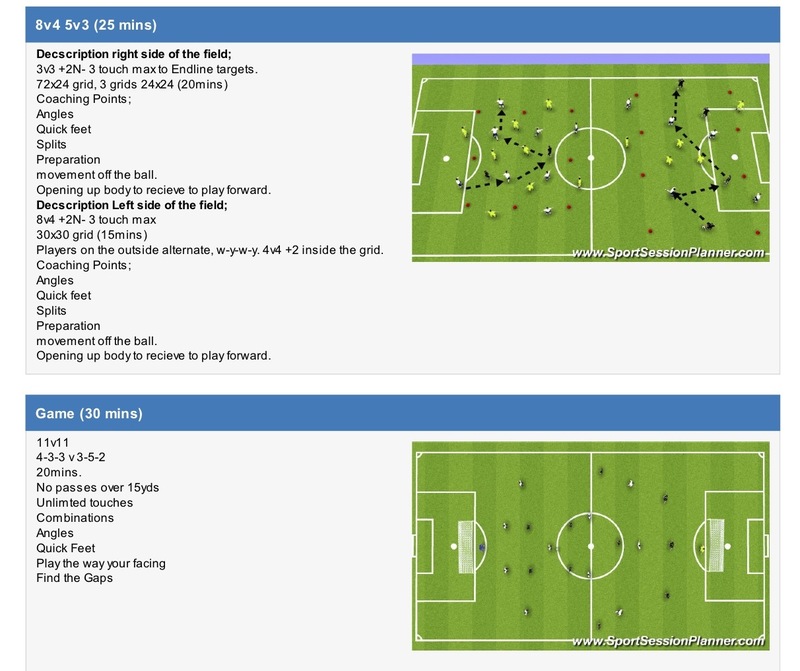 Switching play – playing across the back, into MDF and switch to other side. 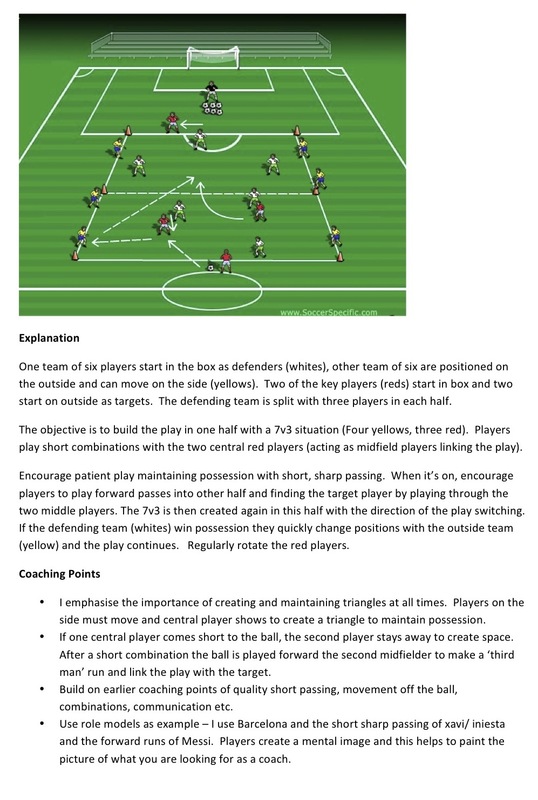 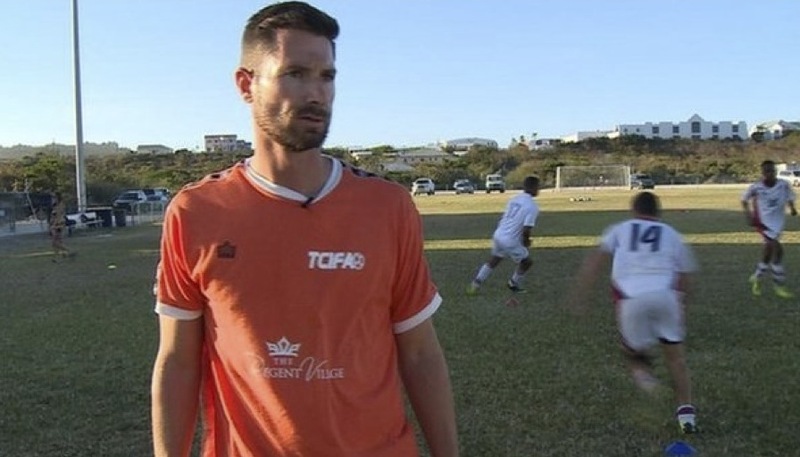 Switching play – Diamond: Switching point of attack to play forward.